Don’t put that slow cooker away yet! I actually use mine all summer long too, when it is really hot it is nice not to have the oven on. The weather here is amazing, gorgeous spring days. Everything is budding. So when I was asked to review The Magical Slow Cooker by Sarah Olson I went right to this easy and delicious spring Lemon Rosemary Chicken. It screams spring to me but could be made at anytime of the year. With the amazing ease of a slow cooker I am sure you already know how magical it can be. The only thing you need to accompany it is a great cookbook. This cookbook I have for you today has your covered from breakfast, brunch, party food, side dishes, soups and stews, chilies, main dishes, and desserts. Throw everything in the slow cooker and it does all the work for you. I love a chicken dinner on a Sunday, it seems like a fitting meal to share with my family on that day and even better when it is made in the slow cooker. Sarah had a great idea to sit the chicken up on foil balls. It basically steams that way and I think cooks more evenly. I think I would cut the onion a little bit smaller next time, I like when it just falls apart and is super tender. 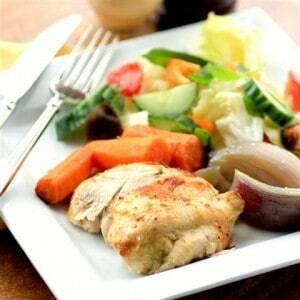 When a chicken is done in a slow cooker, you won’t get that crispy skin but the chicken seems to be so much more infused with the flavors of the butter, seaonings, lemon and vegetables. There is a whole lot of taste going in. Plus the chicken is so moist and juicy. The cookbook has so many gorgeous looking recipes like Granola Baked Apples, Fireballs (appetizer meatballs), Roasted Beets, Chicken Tortilla Soup, White Bean Chicken Chili, Pot Roast Dinner, and Blueberry Buckle to name a few that caught my eye. All the recipes have gorgeous colour photos, which I just love. 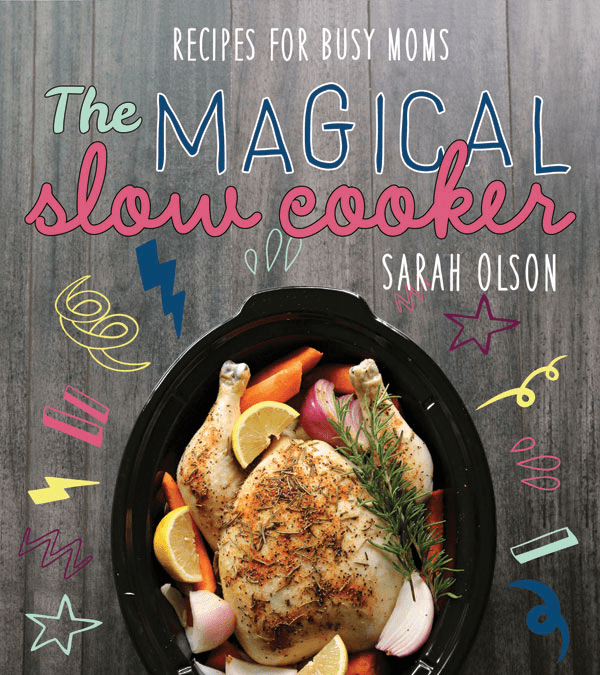 Sarah Olson, the author is the mind behind the blog, The Magical Slow Cooker. She knows her stuff and loves that a few simple ingredients can turn into magic in the slow cooker. She also works full-time as a mail carrier and lives in Springfield, Oregon with her husband and young daughter. 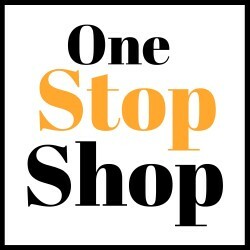 Check out her site at The Magical Slow Cooker. Putting a whole chicken in the slow cooker produces the juiciest, tenderest chicken you will ever taste. Spray a 6-quart slow cooker with nonstick spray. Make 5 balls out of foil and place them in the slow cooker. Remove the neck and any other loose bits from the inside of the chicken and discard. Place the chicken on top of the foil balls and brush on the melted butter. Cut the lemon in half and squeeze all the juice out over the chicken; tuck the lemon halves (I quartered them) around the chicken. In a small bowl, combine the rosemary, salt, paprika, garlic powder, and pepper. Sprinkle evenly over the chicken. (Place the carrots and onions around the chicken if using). I have quite a collection of slow cooker cookbooks! I use my slowcooker at least twice a week. I will certainly check out this cookbook by Sarah Olson. Thanks Melinda, I think you will be very happy! 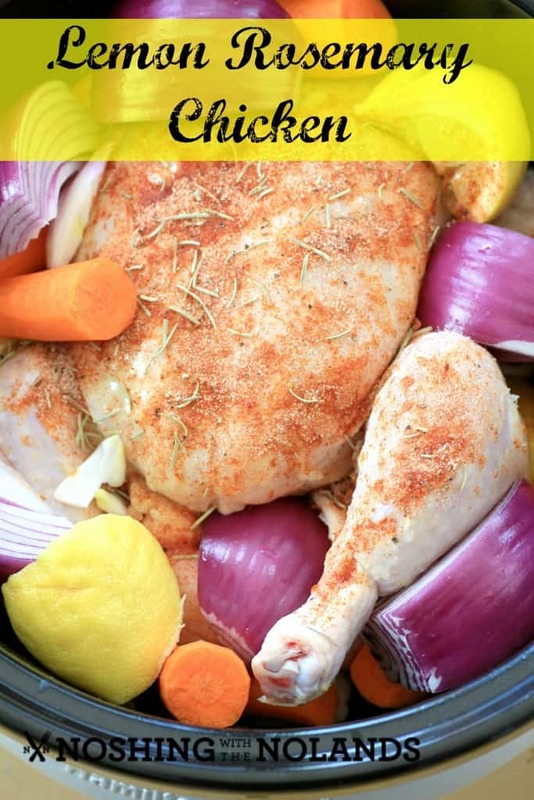 My favorite dinner is a roast chicken, this looks amazing and I’m going to try it in the slow cooker. I think you will really like it Janette, thanks for coming over! I’d like some of that magical chicken on my plate for dinner tonight. How easy is this! I’ve always propped up the chicken with veggies and now I can’t wait to try the foil balls. Loved the foil balls idea, this is a great recipe, thanks Maureen. You are so welcome Sarah, thank you for the great cookbook! I thought it was brilliant and we all loved it. Thank you Nicole! Thanks for sharing Sarah’s fabulous book and yummy recipe! Hi Tara! I really like your recipe. The blend of spices looks really tasty, I must try it (maybe in an oven?). Last week I prepared spicy roast chicken (the recipe is available on my website) and I wonder how it’d work in a slow cooker. It is fun to play with the slow cooker, a different experience than the oven. Both ways would make a wonderful chicken. 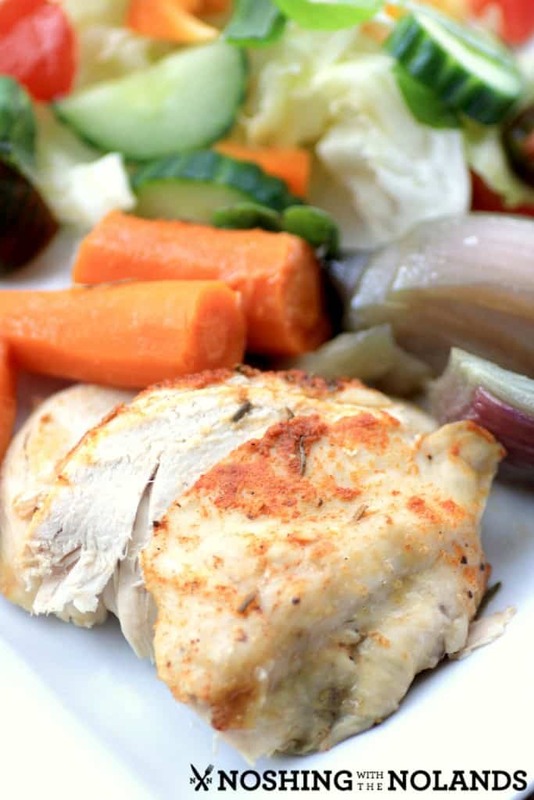 I love lemon rosemary chicken, and to make it in the slow cooker would make it even better because it’s so easy!